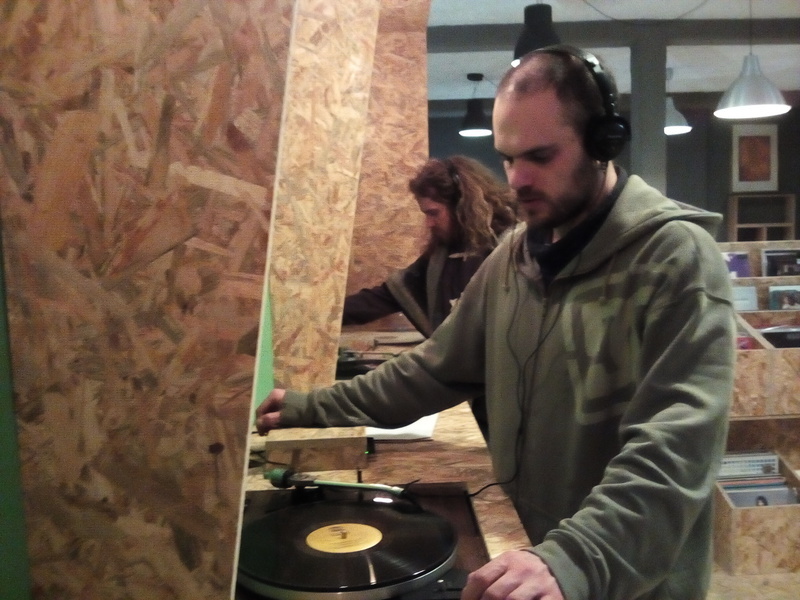 Roccia and Simone from Etruschi from Lakota warming up for their next gigs in Donoratico (Apr. 24) and Montieri (Apr. 25, more news shortly), with a healthy refresher with superfunk, Big Bill Broonzy, Jesus Christ Superstar…but also less vintage options, such as “Hard Rock Gangsta”. The Slow Record Shop, is in business in Cecina, Tuscany, since 2013. It opened with new premises in via Garibaldi 14, on Apr. 22, 2017. I also found some specimens I have at home (but we preserve Jesus Christ Superstar on 1972 audio tapes! ).